World schooling is the blend of education and travel and learning through seeing and doing. There is no one definition, every family that chooses to worldschool or homeschool for that matter will have their own approach. But every worldschooling family does have one thing in common, and that is a drive to provide their children with an incredible opportunity to learn from the world…. The adventure is just the icing on the cake. These are the families that have a main home base; they either homeschool or attend traditional school, and travel for a few weeks at a time when they can to allow their families to experience other countries and cultures and to see more of the world in little snippets. These are the families that travel to other countries for months or maybe years at a time, and enrol their children in the local schools to immerse them in the culture and language of that country. These are the families who travel full-time and don’t spend a large chunk of time in any one place. These families tend to use a more direct approach, while they are mainly about the adventure of seeing the world, they still see the significance of providing some structure to their child’s education and want to provide a level of education that surpasses textbooks and curriculums. These are families that practice a homeschooling method that has been around for several decades. Simply, unschooling means not sending your kids to school, and not creating a school-at-home environment either. They believe that children will learn all that they need to know for their own life. They trust that their children will learn when they are ready and interested, even if that means on a different timeline to schooled children. We plan to continue following the semi-structured approach that we already have in place with our home education. We will be taking time to sit and complete structured work with Olivia, as well taking the opportunity of hands-on learning on location through trips and adventures. This does mean we must take resources with us on the road but, we have an issue, our total available payload is 800kg for everything we need to take with us! Bearing this in mind I have been looking for lightweight and space-saving options for learning materials and trying to work out just how much we need to take with us. 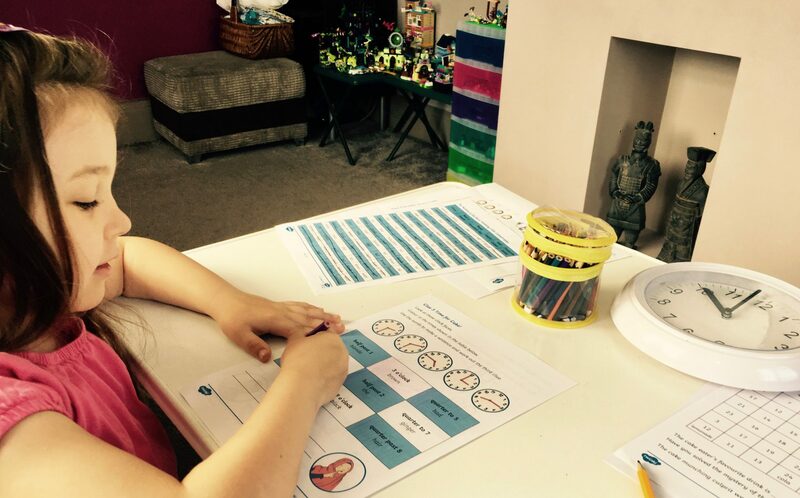 Twinkl offers teaching, planning and assessment materials for birth and beyond in all curriculum subjects. Everything is teacher-created and checked, to keep up with the high quality. Lesson packs, PowerPoints, planning, assessment, display materials, storybook ideas, topic-based activities, craft ideas and much more. Twinkl Educational Publishing. The trusted home of unique, teacher created, planning materials and teaching resources! Oaka™ Digital is an online resource where you can access all the fully illustrated Topic Booklets on each subject, 3D images and interactive activities, as well as quizzes to fully test your children’s learning. Meet Libby app allows you to Instantly borrow thousands of ebooks and audiobooks from your local library for free, using just the device in your hand. Audible is an app that allows you to stream or download your books to listen at home, in the car, at the gym. The Kindle app allows you to download books to read anywhere. It can also sync with Audible, allowing you to combine listening and reading. Cosmic Kids is a YouTube Channel which offers yoga and mindfulness fun for kids it helps them to develop their strength, balance and confidence doing ‘yoga adventures’ – stories Jaime tells in yoga poses. Because the story elements make these exercises so enjoyable, kids see the videos as a treat. But parents and teachers report significant improvements in self-regulation, focus and empathy. The wildly popular Zoo Tycoon series gets fully-remastered and set to crank up the excitement, challenge, and fun of building the ultimate zoo. Let your imagination run wild with Zoo Tycoon: Ultimate Animal Collection! Choose from almost 200 visually stunning animals and the largest, most detailed selection of environments ever, then build, manage, and maintain your dream zoo alone or with up to four players on Xbox LIVE. This zoo simulation will charm animal lovers of all ages. Easy to start and easy to play, Zoo Tycoon gets you up close and interacting with the animals and zoo, offering intuitive controls and fun tutorials that allow players of all ages to have fun. Play smart as animals and guests will react to your creative choices and ultimately decide your chances to become a Zoo Tycoon. Unfortunately, not everything can be done online, so we then looked at the resources we have already and decided which will be the most beneficial to Olivia. We do have the advantage that we will be returning to the UK every few months, so we are planning to take items which are more tailored to the location we are heading to, and therefore rotating some of the books and resources we will be taking. It’s also important to bring toys which are purely for Olivia’s enjoyment and creative play! If everything is about learning, then you never get any real rest time, and learning will become a chore. Anki Cozmo – Is a real-life robot like you’ve only seen in movies, with a one-of-a-kind personality that evolves the more you hang out. He’ll nudge you to play and keep you constantly surprised. Cozmo’s your accomplice in a crazy amount of fun. Code Lab’s intuitive user interface teaches kids the basics of coding while stoking their imaginations and creativity. By dragging and dropping blocks of code, kids can choreograph Cozmo’s actions and make their ideas come to life. We will undoubtedly take too much and forget to take something we really need. What would you bring along with you?